This a grow out plug with a donut for growing out your corals and frags. They are a perfect solution for growing out zoanthids, chalice, SPS, and many other live corals. The frag plug can be inserted into the center of the donut and sit flush inside, allowing the coral to grow and encrust the main part also. We use these in our store and work great for coral propagation! This is a price for each plug with grow out donut. Picture shows 2 grow out plugs & donuts. They are available in two (2) different sizes; 3/4" and 1.5" frag plugs. This is the dimension of the frag plug top not the donut itself. 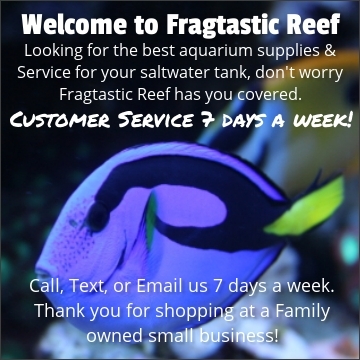 Please select what size you want and get growing out your corals!